Valerie van Mulukom introduces cognitive research exploring how religious beliefs can be modulated. She shows how reframing such research as stimulating of ‘unbelief’ open new avenues for new ways of exploring the nature of unbelief and its similarities and dissimilarities to religious and spiritual beliefs. There are early records of using electricity to influence brain activity: in the 11th Century, a physician called Ibn-Sidah suggested that a live electric catfish could be used for the treatment of epilepsy. [ii] The use of electrical currents for neurostimulation as we know it now did not occur until the turn of the century, however. While most of these early neurostimulation studies focused on the motor cortex, research has since then expanded to questioning whether we can also modulate higher cognitive processes such as beliefs. There are only a handful of studies where neuromodulation was used to try modifying belief. A number of these concern general mechanisms of belief, such as a study by Takeo Tsujii and colleagues. [iii] They demonstrated that stimulating the inferior frontal cortex through TMS affects the belief-bias effect, which occurs when people reject valid arguments with unbelievable conclusions and endorse invalid arguments with believable conclusions. Consider the example: ‘No mammals are birds. All pigeons are mammals. Therefore, no pigeons are birds’. While the beliefs represented are incongruent with beliefs about the world, the reasoning in this example is actually correct (‘No B are Z. All P are B. Therefore, no P are Z.’). In their study, Tsuji and colleagues found that stimulation of the right inferior frontal gyrus enhanced the belief-bias effect, whereas stimulation of the left inferior frontal gyrus eliminated the belief-bias effect. Elsewhere, Colin Holbrook and colleagues from the University of California used neuromodulation methods in a study on explicit religious belief assessed through the Supernatural Belief Scale. [iv] They used a TMS technique called theta-burst stimulation to decrease religious beliefs following a reminder of death. [v] Typically, a mortality reminder or a similar threat increases conviction in religious beliefs; however, when activity in the posterior medial frontal cortex was decreased through TMS, this resulted in decreased conviction in religious beliefs, in particular for positive religious beliefs (such as God, angels, Heaven, as opposed to the Devil, demons, etc.). The posterior medial frontal cortex was targeted as it has previously been implicated in shifts in ideological commitment or abstract beliefs following threats, functions which in this study were impeded by inhibitory TMS. Two other studies by Crescentini and colleagues suggest that neuromodulation can be used to either increase or decrease religious belief. In the first study, activity in the inferior parietal lobe (IPL) was inhibited through TMS, after which the participants’ religious and spiritual beliefs were measured through an implicit association test (see Blog article by Järnefelt on implicit measures). [vi] They found that the temporary inhibition of the IPL increased implicit religious and spiritual beliefs. They chose this region of the brain because previous research noted its involvement with the awareness of the self and body in space, including the sense of self-transcendence, which many psychologists and neuroscientists claim to be an important mechanism underlying religious and spiritual beliefs. In the second study, they used theta-burst stimulation TMS, but contrary to the previous findings, when activity in the IPL was inhibited, participants’ religious and spiritual beliefs were unchanged. However, when excitability of the IPL was increased, this decreased implicit religious and spiritual beliefs. While the differences in findings between these two studies need be explained (possibly through the differences in neuromodulation methodology), together these initial findings suggest that religious beliefs, at least when measured implicitly, can be modified to some extent by either inhibiting or exciting a region of the brain. Together these studies suggest that neuromodulation can induce changes in beliefs. The majority of the studies used TMS, and in particular inhibitory TMS. A number of questions remain, and they point to questions of significance for the study of ‘unbelieving’ as well as religious and spiritual forms of believing: How long lasting and powerful are the effects of neuromodulation on belief, and what does this tell us about the stability of belief and unbelief between contexts and over time? Can neuromodulation turn an atheist into a devout believer – or a religious individual into an ardent atheist? Or do articulate forms of ‘positive atheism’ also provide opportunities for self-transcendence so that some forms of unbelief behave similarly to religious and spiritual belief? What brain regions need to be targeted to achieve these changes, and what does this tell us about the nature of belief and unbelief? Can tDCS, a more affordable method of neuromodulation, induce the same effects as TMS in studies on belief? This is a promising new brave world of research in the science of belief and unbelief. We look forward to what further insights it will bring on the nature, mechanisms and modification of both. [i] Some of the other main differences between these techniques are that TMS produces more discomfort than tDCS, which makes it harder to create appropriate control trials. Moreover, TMS is expensive, whereas tDCS can be administered with less sophisticated devices, which are more affordable and readily accessible (some can be purchased online for less than 300 USD). [ii] Kellaway, P. (1946). The part played by electric fish in the early history of bioelectricity and electrotherapy. Bulletin of the History of Medicine, 20, 112-137; cited in Brunoni, A. R., Nitsche, M. A., Bolognini, N., Bikson, M., Wagner, T., Merabet, L., … & Ferrucci, R. (2012). Clinical research with transcranial direct current stimulation (tDCS): challenges and future directions. Brain stimulation, 5(3), 175-195..
[iii] Tsujii, T., Sakatani, K., Masuda, S., Akiyama, T., & Watanabe, S. (2011). Evaluating the roles of the inferior frontal gyrus and superior parietal lobule in deductive reasoning: an rTMS study. Neuroimage, 58(2), 640-646. [iv] Jong, J., Halberstadt, J., Bluemke, M. (2013). Foxhole atheism, revisited: the effects of mortality salience on explicit and implicit religious belief. Journal of Experimental Social Psychology, 48, 983–989. [v] Holbrook, C., Izuma, K., Deblieck, C., Fessler, D. M., & Iacoboni, M. (2016). Neuromodulation of group prejudice and religious belief. Social cognitive and affective neuroscience, 11(3), 387-394. [vi] Crescentini, C., Aglioti, S. M., Fabbro, F., & Urgesi, C. (2014). Virtual lesions of the inferior parietal cortex induce fast changes of implicit religiousness/spirituality. Cortex, 54, 1-15; Crescentini, C., Di Bucchianico, M., Fabbro, F., & Urgesi, C. (2015). Excitatory stimulation of the right inferior parietal cortex lessens implicit religiousness/spirituality. Neuropsychologia, 70, 71-79. 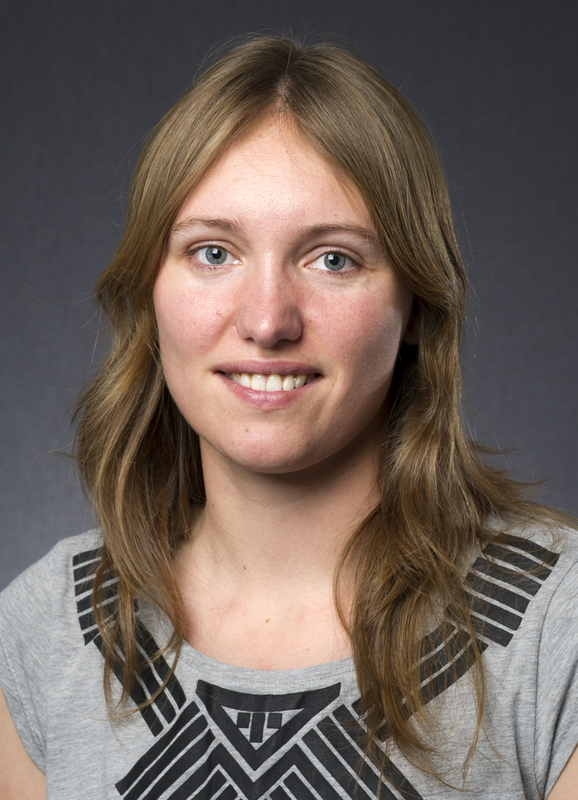 Dr Valerie van Mulukom received her PhD in Psychology from the University of Auckland, New Zealand. Her PhD focused on the cognitive neuroscience of memory and imagination, research which she has since applied to religion and belief. More specifically, she did research on memory and religious rituals as a postdoctoral researcher at Aarhus University, Denmark, and research on memory and group bonding as a postdoctoral researcher at the University of Oxford, England. Currently, she is a research associate at the Brain, Belief and Behaviour group at Coventry University, where she focuses primarily on (un)belief and imagination. She is also interested in creativity and narratives, and plans to extend her work in those directions in the future as well.